This page last modified 2016-12-16 16:49:03. Dropped: Satchel of the Combine Hero today. 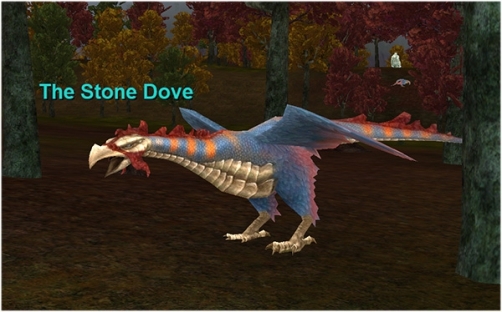 Stone Dove casts this spell every 10 seconds (on top of the usual Cockatrice Stare), the MT can expect to spend most of the fight not doing anything. The spell also has a range of 10K units, so tag from a long distance if you're pulling to camp and don't want to get caught on the way back.